The February 8th Phantom Update and the March 7th Fred update might be core algorithm updates. Does that really mean anything though? We know that Panda is now part of the core algorithm, and Penguin is real time too. We can speculate it’s also part of the core algo now. So, based on that, Phantom and Fred can be related to any of those, be it Penguin, Panda or something else/new. 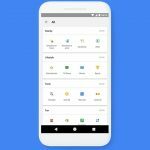 Forums are still active about Google’s Fred update every since it was launched two weeks ago. Seroundtable’s Barry Schwartz concluded it’s an update targeting ad-heavy websites. There are others (like Charles Floate) who thinks it’s a link related update, putting more emphasis on the topical relevancy of linking pages to linked pages. Google has received a lot of criticism after this controversial update, and the fact that they refuse to tell webmasters what should be fixed to make Google love their sites again. Have you been hit by either the Phantom or Fred Update? Do you see a recovery yet?